I am pretty sure this isn't the first time you'd read about blending sponges. The famous Beauty Blender has been around for years now and a lot of dupes have been made available at a cheaper price. 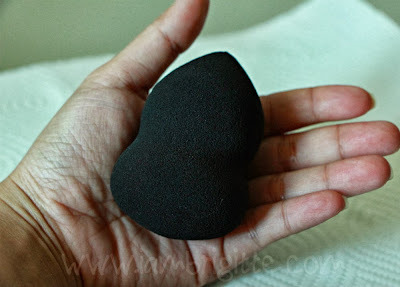 I've also tried Beauty Blender and it's a dream to apply liquid/cream foundation using it. I love how flawless the finish is, that it actually looks like you've been airbrushed. When I was at Ulta last month, I saw an almost similar blending sponge like Beauty Blender at Stila. But it's black, and a lot sexier. I left my Beauty Blender in the Philippines so I thought, why not get this one. It's cheaper and it's black. At least, it's not as disturbing to see the makeup residue after I use it. Hay, I love my Beauty Blender but with all those residue that seems too hard to remove, I also hate it. I was a bit apprehensive at first, thinking that it will just be a waste of money since this is not the "original" Beauty Blender. I am not saying this is a dupe, but I'm just scared that instead of being able to save by buying cheaper stuff, I'll end up wasting a whole lot more when I realize it doesn't work. I was already at the counter when I realized I really want it (and need it too) so I had to go back and get one. Baka hindi ako makatulog eh. Haha! Unlike the famous (and more expensive) Beauty Blender, this one from Stila has a curve at the middle, giving it a sexier look. (Woot Woot!) Now does that make a difference? I also have a Beauty Blender, and for me, it doesn't. Both give a more flawless, natural-looking finish...a look ala-airbrushed. 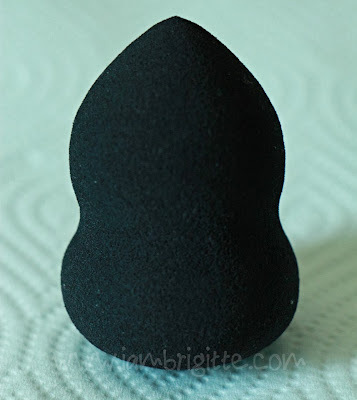 Like the Beauty Blender, the rounder end is for over-all application of your liquid/cream foundation and the pointed tip for more precision blending like spot-concealing. 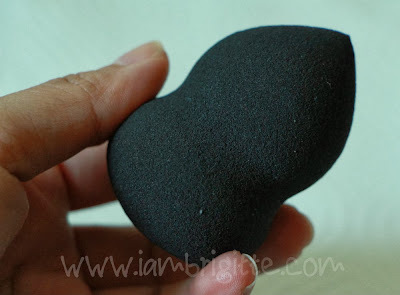 If you haven't tried using a sponge like this, you have to know this doesn't work as the regular wedge or flat-round sponges out there. 1. Place the sponge under running water and then squeeze it to remove excess water. This step is very crucial as this makes the sponge softer and springy, making it easier to use. This also prevents the sponge from eating most of the foundation that should be going on your face instead. 2. I put some foundation at the back of my hand and using my finger, I dab it on the areas of my face. 3. 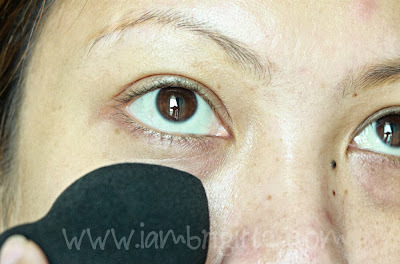 Bounce (or stipple) the round tip of the sponge on my face using short, quick motions. This makes the foundation really sink into your skin making it look a lot more natural rather than just sitting on your skin, making it look like a mask. 4. 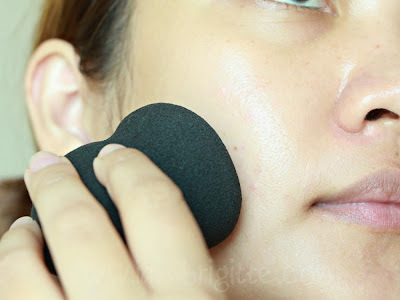 For areas that need concealing, I dab my concealer/foundation first using my fingers then using the pointed tip, I again stipple the product against my skin. 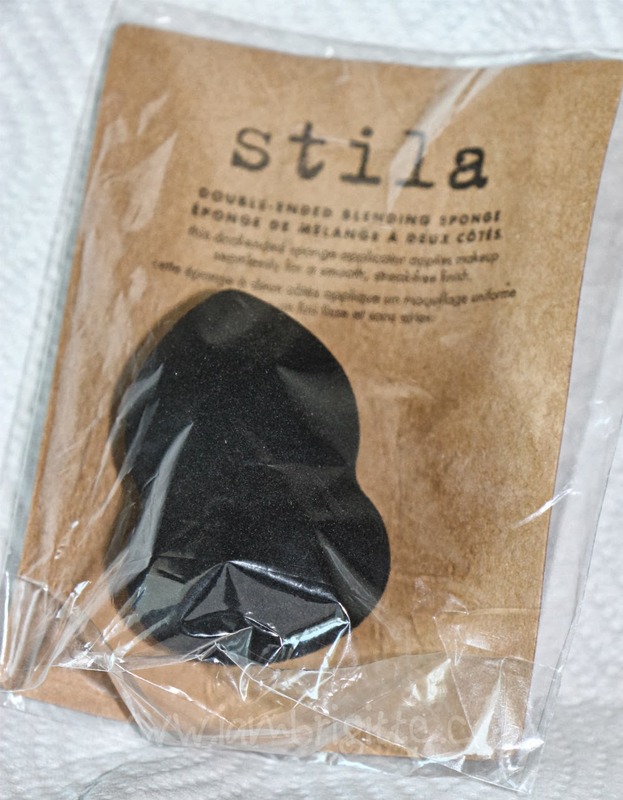 Using this sponge can sheer out medium to heavy coverage foundations, preventing it from looking cakey and unnatural. 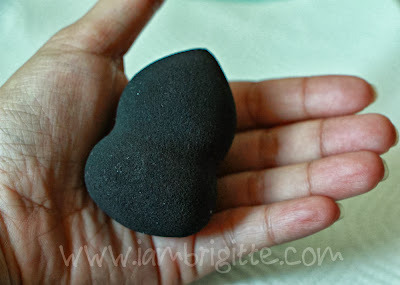 Like what I've said earlier, this works as good as my Beauty Blender but I find this one a lot easier to clean. With my Beauty Blender, I still have to use an antibacterial diswashing liquid, then my Johnsons Milk Bath. But even so, there would still be some residue that will be left on the sponge. 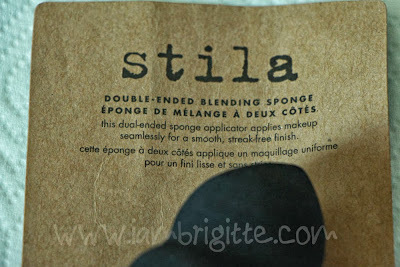 With Stila, I can just use my Elf Brush Shampoo and it will be clean in a few squeezing and washing. Or probably, it's just black that's why I really can't see? It promises a streak-free, more even, flawless and natural-looking finish...and it delivers! It doesn't come with a plastic round container where you can store the sponge when not in use. But it's okay, I can just put it inside a cup or whatever. 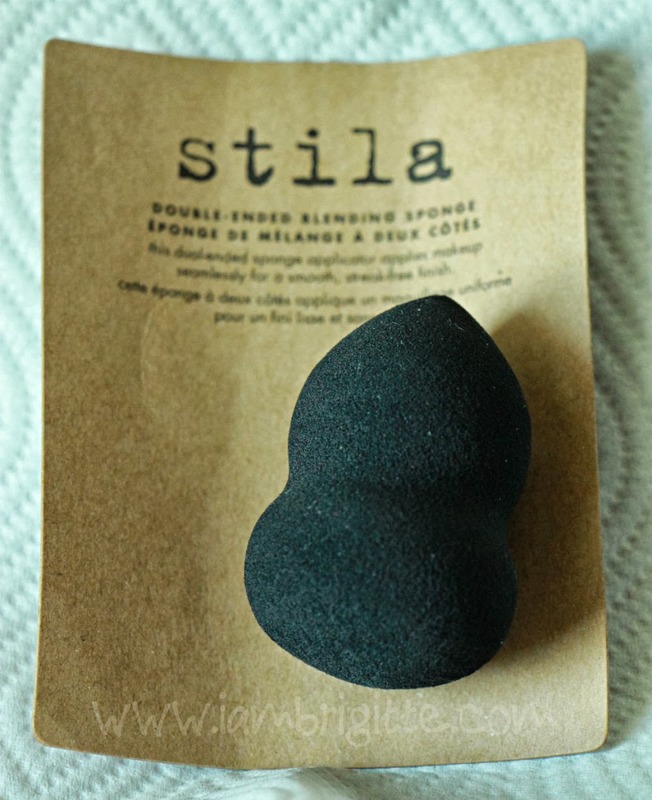 By the way, the Beauty Blender is a lot more springy than Stila, but it works as good. The Beauty Blender costs $19.95 so I get to save almost $8 (tax not included) which is good. That's additional moolah for some other things on my wishlist.